Vitamin B12 – Kahn said that an estimated 50 percent of vegans and 10 percent of vegetarians lack this vitamin, which is crucial to keeping the brain, nerves, and blood healthy. The doctor recommends taking 2,500 micrograms once a week, or 250 micrograms daily. Vitamin D – This vitamin, said Kahn, keeps bones healthy and is “essential” in controlling blood pressure and blood glucose. It is also important in heart function and brain health. Kahn said that enough vitamin D can be taken through 20 to 30 minutes of direct sun exposure. However, taking 800 to 2,000 IU of Vitamin D3 in particular might be necessary for many vegans. Omega-3s – Good for the brain and the heart, Kahn recommends supplementing with a combination of DHA and EPA fatty acids at 250 mg each daily. He also recommends adding ALA-rich whole foods such as flaxseeds and chia seeds, while limiting omega-6 rich foods which may lead to inflammation. L-carnitine – Because this is mainly found in meat, vegans typically have lower levels of this amino acid, which is instrumental in the process of energy production in the heart. The doctor recommends taking 500 mg daily, especially for athletes and those with heart disease. Taurine – This amino acid is vital for the cardiac immune system as well as insulin action and electrolyte balance, and is usually found in meat or seafood. Taking 500 mgs a day is recommended. Vitamin K2 – This vitamin is responsible for getting calcium to the bones, and can be taken as 50 to 100 microgram supplements daily. Weight loss – Cutting out animal products also means you are also cutting out the saturated fat that comes with meat and dairy, making it easy to maintain a healthy weight. More nutritious – With the right supplements, a vegan diet makes meeting your nutritional needs effortless. Lower risk for diseases – Research shows that those who don’t eat meat have lower levels of cholesterol and blood pressure, as well as lower risk for heart disease and diabetes. Lowers cancer risk – As vegans, everything in your diet will be fruits and vegetables — which are known to be high in cancer-fighting antioxidants. Arthritis relief – Going dairy-free — a cornerstone in vegan diets — is a common remedy to relieve arthritis. More energy – A higher carbohydrate consumption and less unhealthy fat can lead to a boost in energy levels. Not to mention, meat requires more energy to digest, so those who don’t eat it have that much more energy. Longer life – According to the article, studies show that those on a plant-based diet live longer lives on average, presenting a three to six year advantage over those who eat meat. 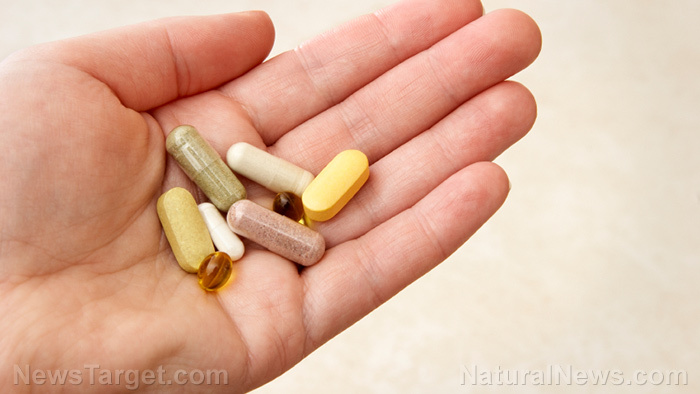 Learn more about natural health supplements on SupplementsReport.com.